With TwoGraves Mod, you can keep your items safe on death. I think you will be happy with this mod because it is so intriguing. On death, you spawn a gravestone that will take and keep all your items till you return. A simple right-click will put all items back into the slots they came from (so no more annoying re-equipping, this mod does it all for you). 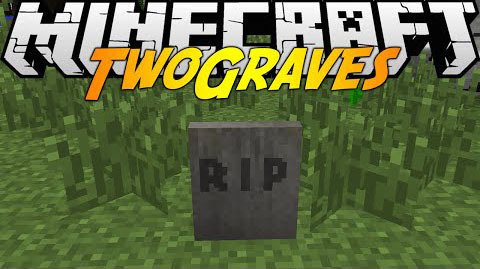 The grave is to make explosion resistant and (optionally) indestructible. This mod works in single- and multi-player.